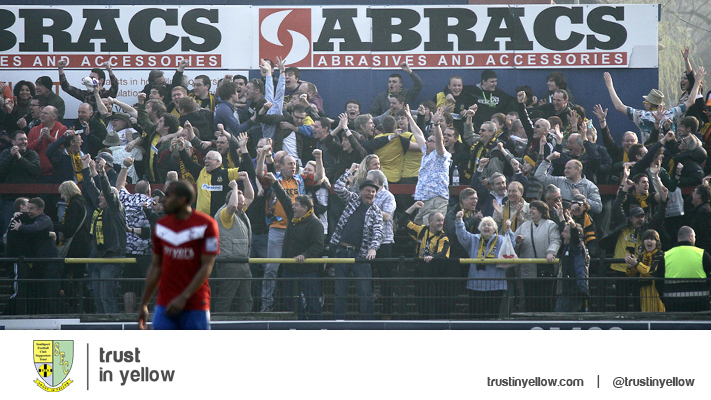 The Trust's next open meeting will take place on Thursday 9th January at 7.30pm in the Vice Presidents bar. All members are welcome. 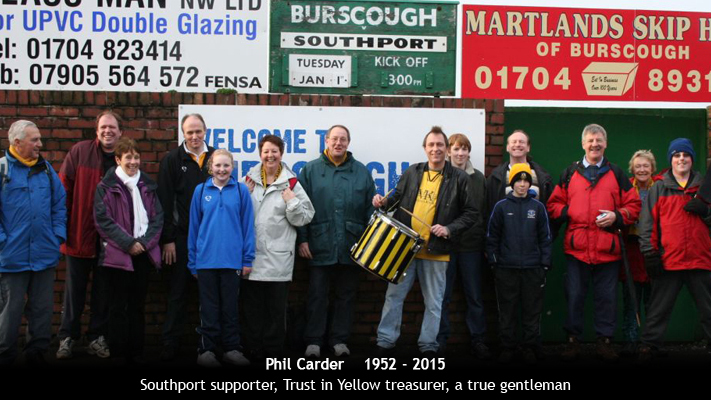 Merry Christmas to all our members and Southport supporters, and thank you for your continued support of the Trust and our activities over the past 12 months. 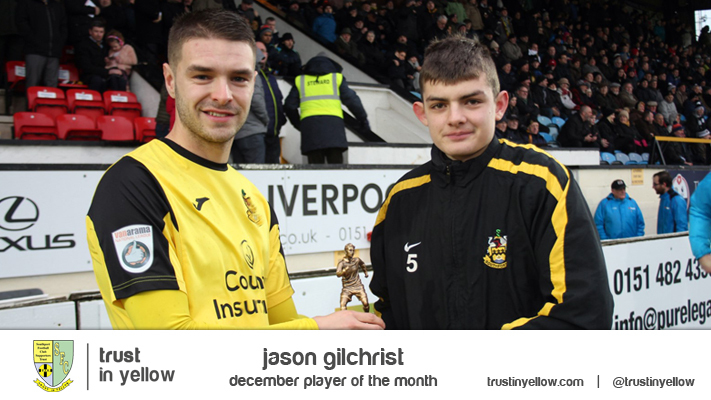 Southport will play two Skrill Premier away matches during the Christmas period. John Coleman's team visit Alfreton Town next Saturday, 28 December, before the local derby at Chester on New Year’s Day. As usual, under 16s can travel for a third of the advertised price if accompanied by an adult. Prices are based on a break-even basis and a discount will apply if there are more than 30 bookings on any of the trips. 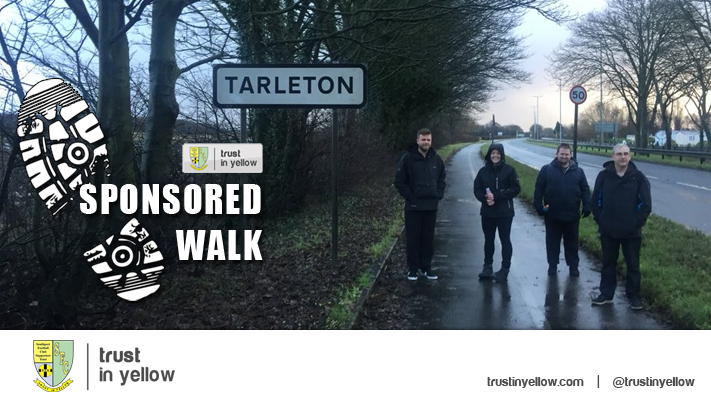 To book, call Alan Scarisbrick on 07980911693 or visit the Trust office on Boxing Day. 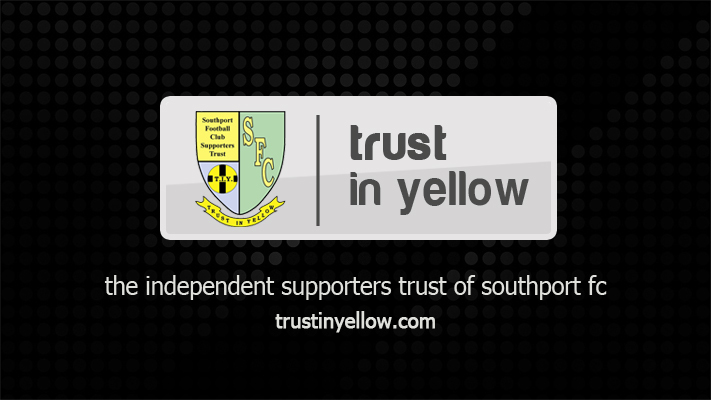 Trust in Yellow would like to thank Southport chairman Charlie Clapham for his generosity in subsidising the supporters’ coach to Salisbury City on Saturday. It meant fans were able to travel to John Coleman’s first game in charge for half of the usual fare. 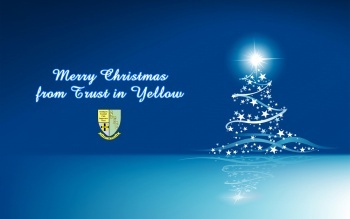 Coach details for the other two games over the festive period are now on our news page.